LinuXatUNI held last meeting of the year | Sólo para Mí! The local Linux community in Lima, Peru held the last meeting today sharing a breakfast. Peruvians usually take “chocolatada” (made with chocolate and milk) with paneton for Christmass holidays, and we are not the exception. Thanks to the LinuxFoundation we have new jackets, scarves, and vest branded with the LinuxFoundation logo. Thanks so much to all the students that have participated as LinuXatUNI during this year, and in previous rounds. 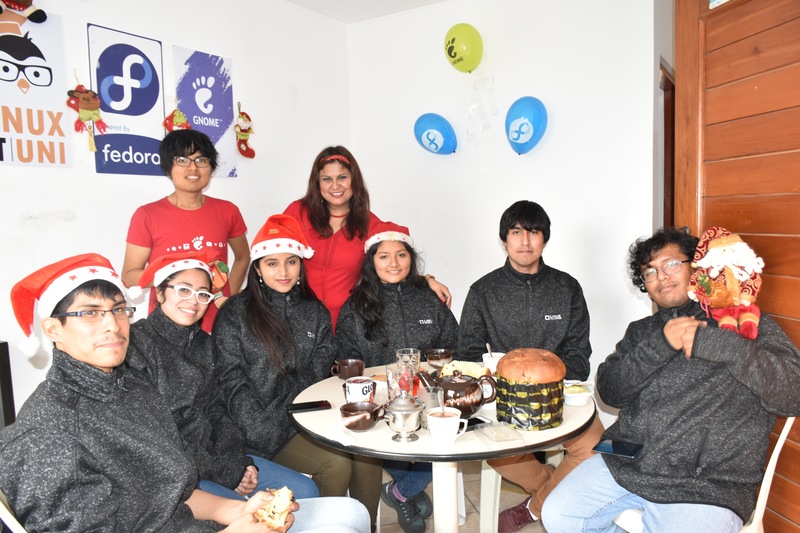 Special thanks to students from UNMSM: Martin Vuelta and Fiorella Effio for their support during this year as well as Toto, Solanch and Leyla Marcelo for her work as a designer. 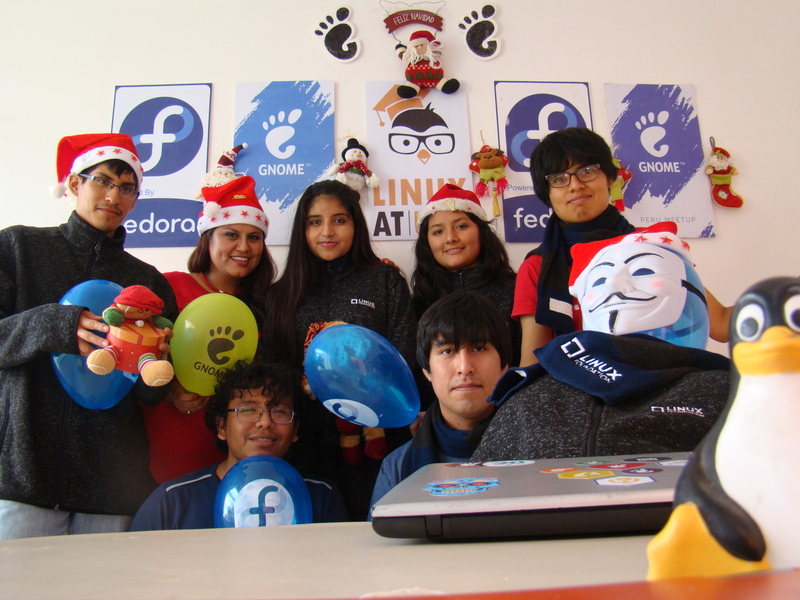 Other thanks to PUCP students which have been helping us for four years in a raw: Giohanny Falla and Fabian Orccon 😀 I am extremely grateful for the support of the Linux Foundation, GNOME, Fedora, BacktrackAcademy and LinuXatUNI work members for outreaching Linux newcomers. Ingeniero de Sistemas UNAC, Magíster en Ciencias de la Computación PUCP, OPW GNOME 2011, Miembro de la GNOME Foundation desde el 2012, Embajadora Fedora Perú desde el 2012, ganadora del scholarship of the Linux Foundation 2012, experiencia como Admin Linux en GMD y Especialista IT en IBM, con certificaciones RHCE, RHCSA, AIX 6.1, AIX 7 Administrator e ITILv3. Experiencia académica en universidades como PUCP, USIL y UNI. HPC researcher, Leader of LinuXatUNI Community, a simple mortal like you! 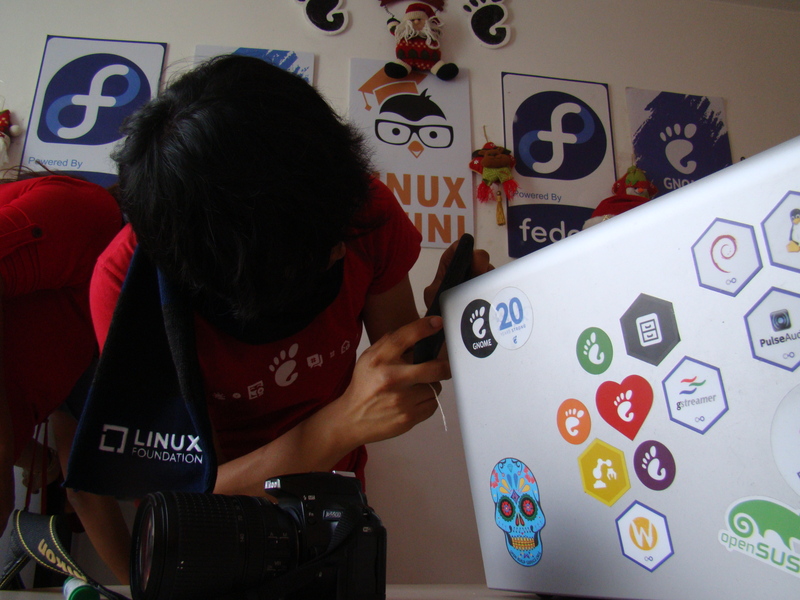 This entry was posted in FEDORA, GNOME, τεχνολογια :: Technology and tagged by 2017, fedora, GNOME, Julita Inca, Julita Inca Chiroque, last meeting, Linux Foundation, Linux Foundation event, LinuXatUNI, prize Linux Foundation. Bookmark the permalink. Pingback: 2017: My FLOSS​ Year in Review | Sólo para Mí!